The Home Workout Warrior and Meal Prep Nina Bundle! 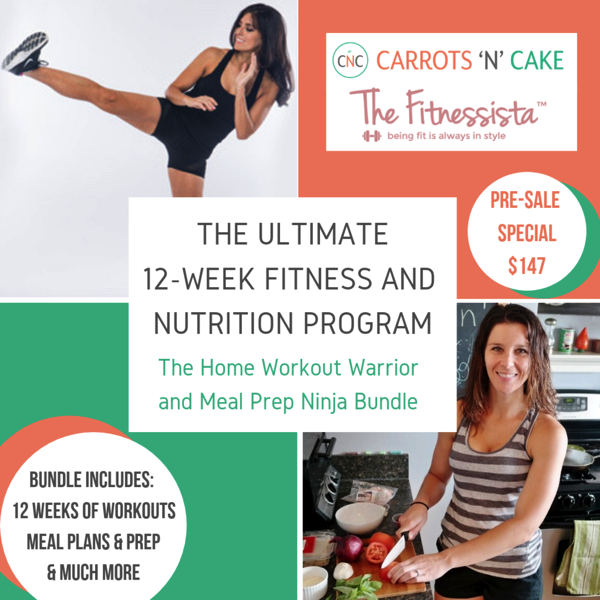 The Home Workout Warrior and Meal Prep Ninja Bundle is a combination of my 12-week Home Workout Warrior Fit Guide (the most popular plan!) and Tina’s 12 weeks of macro planning, meal plans and recipes. – Those who are looking to build lean muscle and increase fitness performance to achieve their fitness goals. This is also helpful for all of my friends out there who don’t have gym access, or prefer the convenience of working out at home! When you sign up for this special bundle, you get everything as an instant download! If you’ve been curious about trying a Fit Guide or macro tracking, now is the time to jump on it. *** Please note that the $147 is a pre-sale price. It will go up after March 11th at 12pm EST, so be sure to hop on it! The post Home Workout Warrior + Meal Prep Ninja Bundle appeared first on The Fitnessista.